Last Thursday was World Book Day. 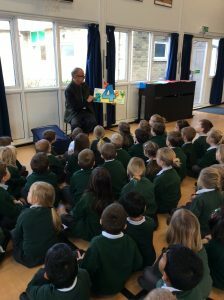 The children enjoyed an assembly from Paul Stickland and then he took workshops with KS1. We had some great costumes on Thursday as the children dressed up as characters from their favourite books.